Laika and I play a game of tug of war nearly everyday — it’s physically tiring, mentally stimulating, and just plain fun. And despite an old popular myth, tug does not cause aggression in dogs. If you’re looking for a fun game to play your dog try adding in a game of tug to your dog’s daily routine. Tug is mentally and physically tiring for dogs, and it’s a great way to strengthen the bond you have with your dog. Here’s the benefits of playing tug with your dog. Old school trainers really did a great job at discouraging playing tug of war. It’s still one of the most commonly asked questions; “Won’t it make my dog aggressive?” No, it doesn’t make dogs aggressive. Nor will it make your dog see you as weak or less dominant if you let him win. If you let your dog a game it makes him enjoy the game even more, and it’s a great confidence builder for them. Playing tug of war with your dog is a great way to mentally and physically exercise your dog. 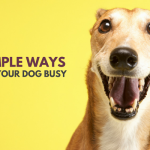 Minute for minute it’s the best way to help burn off some energy — for dog and owner alike. You’ll still find the occasional trainer who still tells people not to play tug with their dog. They claim that playing tug with your dog leads to dominance and aggression issues. But that’s an old school myth. There has been no evidence found that suggests a link between tug and aggression. In fact the evidence we do have is that tug is a great confidence builder, and that it’s a fun way to keep our dogs exercised & entertained. Playing a game of tug of war with your dog is one of the easiest ways to engage in meaningful play with our canine companions. 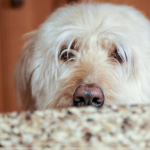 It’s great exercise for dog and owner alike, and it’s mentally challenging for our dog. 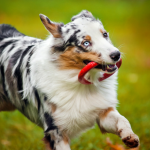 Recent studies have found that the more play a dog engages in the less likely he is to exhibit behavioral problems. Dogs that engaged in tug with their owners were also found to be more playful and were more likely to come when called. In studies that have been conducted researchers found that dogs that play tug with their owners have higher confidence and amenability, meaning they were more obedient. 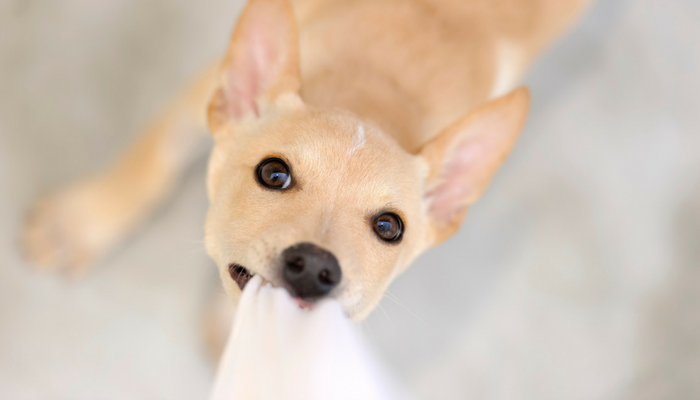 The same study also found that dogs who engaged in more rough housing games such as tug were found to exhibit fewer separation related behaviors. Dogs are very socially oriented. Meaningful play, such as tug, is a great way to spend quality time with your dog and strengthen your bond. Tug is a satisfying activity for your dog; it’s interactive play that gives your dog a great outlet for their mental and physical activity. Many professional dog trainers use more than just treats when working with their dogs. If you’ve watched dogs being trained for K9 police work, military dog training, or agility you’ve likely seen the trainer holding a tug toy in their hands. When the dog completes the desired behavior he’s rewarded with a quick game of tug. If your dog enjoys a game of tug try using it as the reward in your next training session. For Laika it’s much more rewarding than dog treats – many of which she’ll spit out in favor of a game of tug. Minute for minute it’s one of the most intense forms of exercise for your dog. 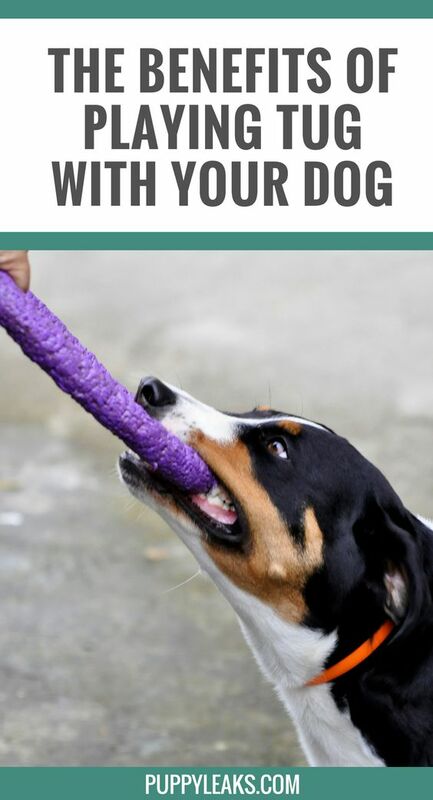 Playing tug will give your dog a great mental and physical workout. Tug strengthens your bond with your dog. Easy way to reinforce obedience basics and helps increase your dogs impulse control. Creates a useful distraction when working on learning other behaviors. Your dog must know a “drop it” or release command. This will help you stop the game if necessary. Use a tug toy that is long enough to keep your dogs teeth away from your hands. The toy should also be flexible and durable. Keep the toy put away when you’re not using it. It’s a game that you initiate when you want to play. Teach your dog that he can only grab the toy when you give permission. Hold the toy up or off to the side; only begin the game one he sits. After he sits and waits you can encourage him to “take it.” If your dog hasn’t played tug before he might be reluctant. Let him grab onto it and gently move the tug from side to side encouraging him to pull. Don’t pull upwards; only tug from side to side. Pulling up on the tug can injure your dogs spine. As your dog gets more excited he might begin to growl; this is normal behavior. If you feel that your dog is getting too excited or intense take a break. If your dogs teeth come in contact with you the game should stop immediately. Say “ow” or let out a yelp and tell the dog to release the toy. Once your dog is calmly sitting down and waiting to begin again you can tell them to “take it” and start tugging again. If they let their teeth touch your hand again it’s OK to stop the game for the day. They’ll eventually learn to be extra careful when grabbing the tug. Do not let children play tug with your dog unless you’re supervising to watch out for signs of over excitement. When it comes to how long your games of tug should last that’s up to you and your dog. As long as you and your dog are having fun and it’s not too much for them you can make them last as long as you like. Generally my games with Laika are pretty intense, so they only last for about 5 minutes. Trainers might also advise not to let your dog win a game of tug. They fear that if the dog is able to win they will therefore see you as submissive. There’s been numerous studies done on letting your dog win a game of tug and there’s no evidence to suggest a dog will take advantage of you if he wins tug. In fact one study (cited in The Genius of Dogs) found that dogs were more interested in playing with humans who lets dogs win games of tug than those who didn’t. If you let your dog win a game of tug he will find it more enjoyable. Your dog is having a great time and is more likely to want to engage in a game with you in the future. Your dog will learn that you’re fun to be around; this can make future training sessions much easier. You can use tug as a reward for other behaviors. Some dogs are more motivated by games than food, this is especially true for high drive dogs. Often times you’ll see police K9 & military dog trainers using tug as a reward when they’re working and learning new behaviors. Don’t concern yourself with whose ‘winning.’ There’s a difference between being a great leader and being dominant. Your dog is looking for a leader; someone to help him find a purpose and to engage in meaningful activities. Initiating a game of tug is one of the easiest ways to teach your dog to follow along. It’s a game for the both of you – it doesn’t make you any less of a leader if you purposefully lose. Trying to dominate the game by winning is likely to cause less interest from your dog. A game is no longer fun when you always lose. If you’re looking for a fun way to entertain & exercise your dog at the same time it’s hard to go wrong with a game of tug. Dogs love a good game of tug, and they enjoy playing interactive games with us. And by having your dog follow the rules of tug it’s a fun way to get some training in when it comes to impulse control. Tug, hide and seek, working on basic obedience, and nose work games are great ways to give your dog some mental and physical exercise. And since they can be played indoors they’re great rainy day activities for your dog. Next time it’s raining clear out some room and initiate a game of tug with your dog. It’s a nice workout, and it’s a lot of fun for dog and owner alike. 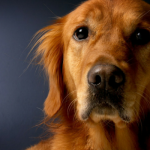 Nothing In Life is Free – Should Dogs Earn Affection? I remember hearing from some “experts” that you should never play tug. Now I play tug with both of my younger dogs and encourage my eldest to play too. It’s a great game to reinforce self control and to teach the dog to inhibit itself (drop on cue so they can continue to play). It’s pretty sad that the myth is still so prevalent. I also find it very sad that people are told that not only can it make your dog aggressive but letting them win will make the dog more dominant. I LOVE this post! I play tug with my dogs all the time and use it as a method of training. I have found that many K9 units and folks active in dog sports like agility or flyball, train their dogs this way too. For me, it’s a great way to amp up energy as we go through obstacle training. Sometimes I will put the tug on the opposite side of an obstacle or two, and use it to drive my dog through the obstacles. The prize for her is to bring the tug back to me and play! I follow those same rules too! We love tug! For Ruby, it is a better motivator than food sometimes, and I have used it to polish many of her tricks, teach self-control and bite inhibition. It’s such a great way to get some decent exercise in for them; they love it. It’s so funny when you see K9’s training and you know they’re just waiting to get back to that tug. We play tug at our house all the time and use the game as a training reward. The rules of tug are also super important. They not only add structure to your interactions, they help eliminate any tug related mistakes. I agree, it’s so much fun for them it’s great motivation to behave properly – or else the game ends. I adore what you say here. We play tug a lot, and it’s so important for certain sports like Flyball too! I absolutely believe it’s so important for bonding and teaching appropriate play and manners. So simple to teach the drop/release etc too. GREAT tips here! Thanks so much. It’s definitely a game we play constantly around here; Laika never seems to tire of it and that’s perfectly fine by me. It’s such an easy and convenient way for her to get some meaningful activity in. Great post….I’m so glad to finally get the full true story on this subject! We have stilled played tug with Luke, but I wasn’t 100% sure if we should or not….thanks for clearing it up! Hello! Just got a 5 month old old dog from a rescue place. She is submissive and won’t play tug of war. She wont grab it. Ideas about how can we help her grab it? We think it would be so good for confidence. Great article! Thank you! Is she interested in chasing things at all? If so you could toss it as if you were going to play fetch to get her used to it. (you could also drag it along the floor to see if it’ll get her interest and praise her if she starts chasing it) You could also try teaching her to play with a different toy; my dog goes bonkers for baby blankets and is generally more interested in tugging with those than rope toys. how long should a game of tug last? Usually tug with Laika last for about 5 minutes. If your dog isn’t in great shape you can do a couple of shorter games throughout the day. And if your games aren’t very intense you can always play for longer. Every dog is different. My friend just adopted a dog that loves to play tug but will not retrieve or even chase. Like with people, some of the differences between dogs have to do with past experiences and some with just inner “chemistry” (genes; how we are ‘wired’; even past or present nutritional inputs/deficiencies). My kids love to play tug of war with out little puppers. I was wondering if there is a rope that is kid friendly (not rough) but is also pet friendly.